A.J. Shively, Cheryl Stern, Christopher Sieber, Harvey Fierstein, Karl Warden, Michael Lowney and Christine Andreas step out at curtain call on La Cage aux Folles' one year anniversary. 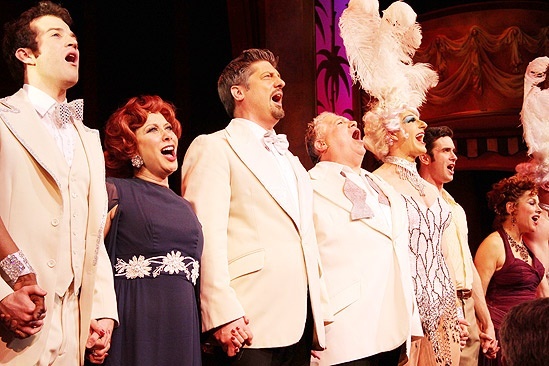 The cast of La Cage aux Folles celebrates one year on Broadway on April 20, 2010.